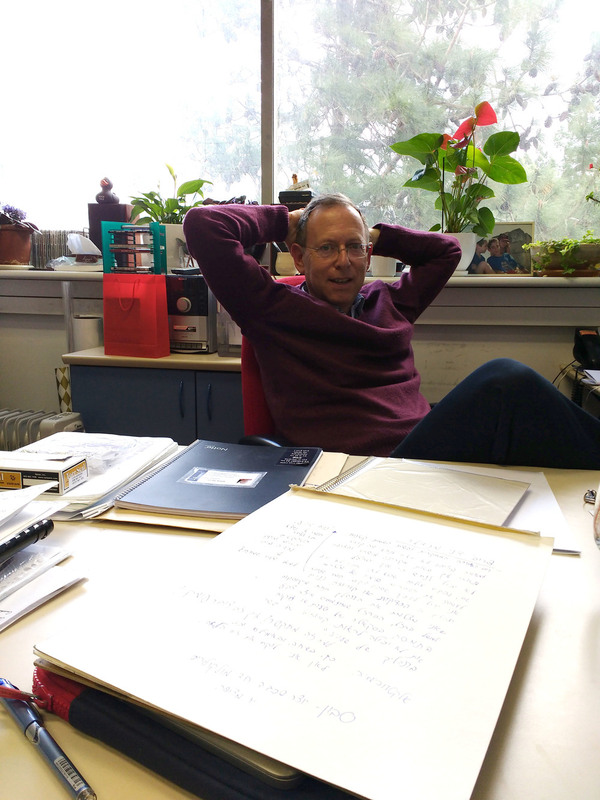 Prof. Mandler had kindly invited me to his lab about two week ago. Prof. Mandelr's lab studies chemistry, physical electrochemistry, surface science, forensic chemistry and sol-gel technology. After two long conversations, I feel that a very fruitful collaboration may arise from this fascinating interaction. The confusing, exciting aspect to our interaction, is the fact that his research field is such a new terrain for me. Trying to even envision how one can translate what cannot be seen is a challenge. For example, how would acceleration or ease in of processes such as corrosion or decay in the nano scale translated to my visual world and artistic questions. Embarking on unexpected thought journeys is the essence of this unique residency program. I'm glad and fascinated by this collaboration, no matter what the future holds. I can only write that our conversations had already sparked several possible paths that move me and stir my imagination.